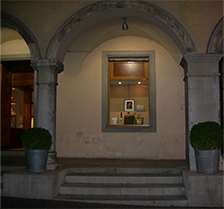 In November 2009 Rossella Pavan established Senzatempo., a small space dedicated to objects that belong to the past and the present. 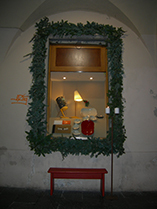 Unique contemporary and vintage jewels, furniture and valuable items are for sale. Masterpieces of the past signed by historical Scandinavian designers and by anonymous craftsmen are mixed to create warmth and personality. An exhibition of out of production furniture of 50’s and 60’s of the last century, handmade articles and limited creations by designers are blended with the historical traditions and the contemporary experimentations. Domestic planning is linked to the selling and the hiring. To furnish with the patina of time or with a renowned authorship to create new domestic atmospheres.